Shotzy Harrison lived with her father, James Flavy Coy Brown, until she was three years old. But James, who has been treated for multiple mental health conditions over the years, was in and out of Shotzy’s life as a result, and spent most of his adult life homeless. After they reunited in 2013, Shotzy brought James home to live with her in Winston Salem, North Carolina. That’s when they sat down for a StoryCorps interview where they talked about their relationship and the time they’d lost. 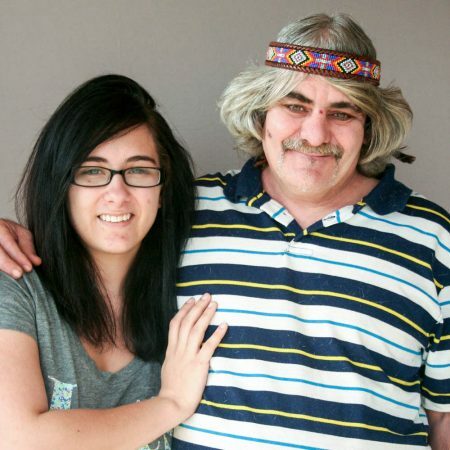 Five years later, Shotzy recorded again, by herself, to reflect on that StoryCorps conversation with her dad. You’ll hear excerpts from both of those interviews in this story.